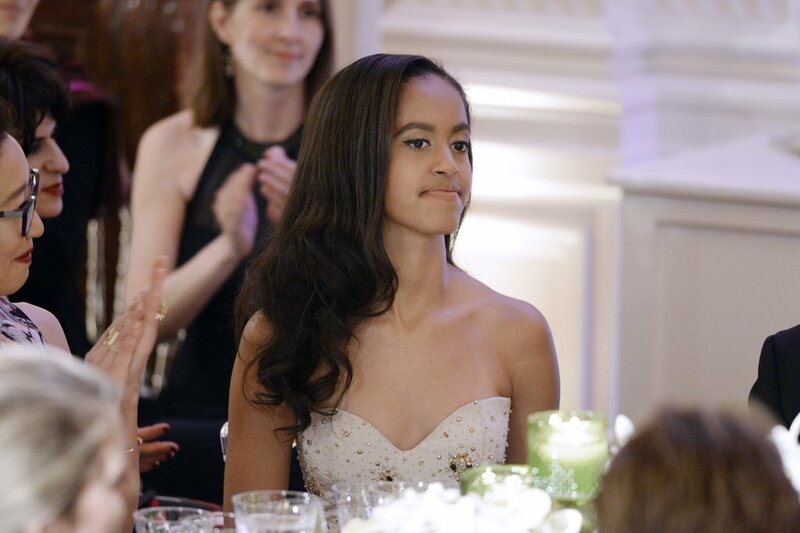 Home Buzz The Obama Girls, Sasha and Malia, Are All Grown Up! 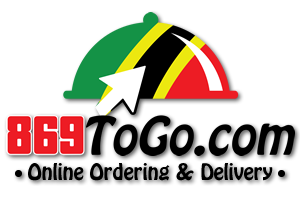 In 2009 we welcomed (Yes! 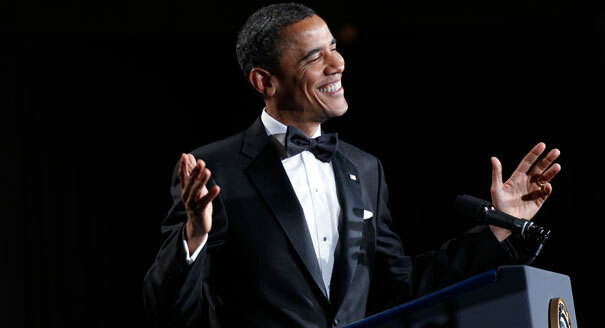 “WE”) our first ever black US president to the White House with the beautiful first family. With the new president and his wife came their adorable daughters- two tiny princesses who we instantly stole our hearts. 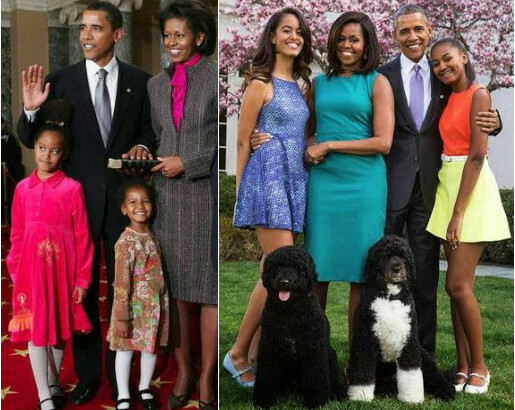 But now the president is at his last few months of his second term (we really think he needs to get a third), and the angel-faced two are.. well… Not Kids Anymore! 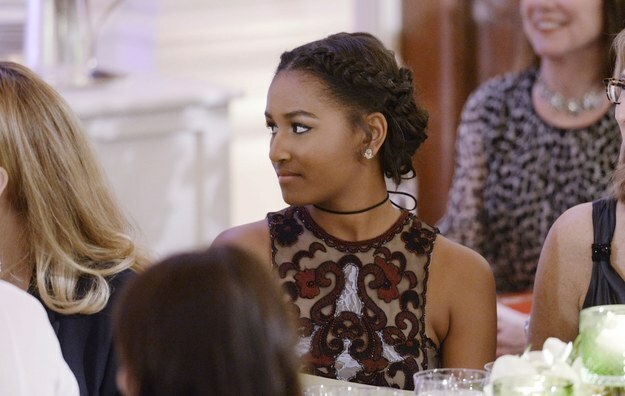 This week, Sasha and Malia attended their first ever White House State Dinner, and jaws dropped. The now 17 and 14 year olds looked Stunning! 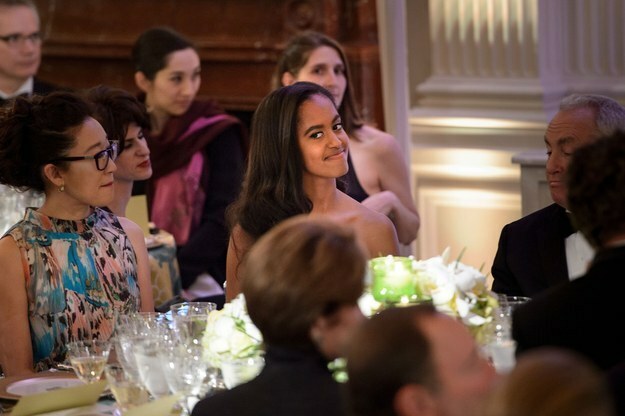 I mean, we really wouldn’t expect anything else from the handsome Barrack..
and absulelty breath taking and forever glowing Michelle..
We have certainly watched Malia and Sasha Obama blossom into the most charming and beautiful young women! And even though it has been 8 years, they seemed to have morphed overnight! Decked in fabulous dresses, gorgeous smiles and their usual charm, the girls easily became the highlight of the evening. 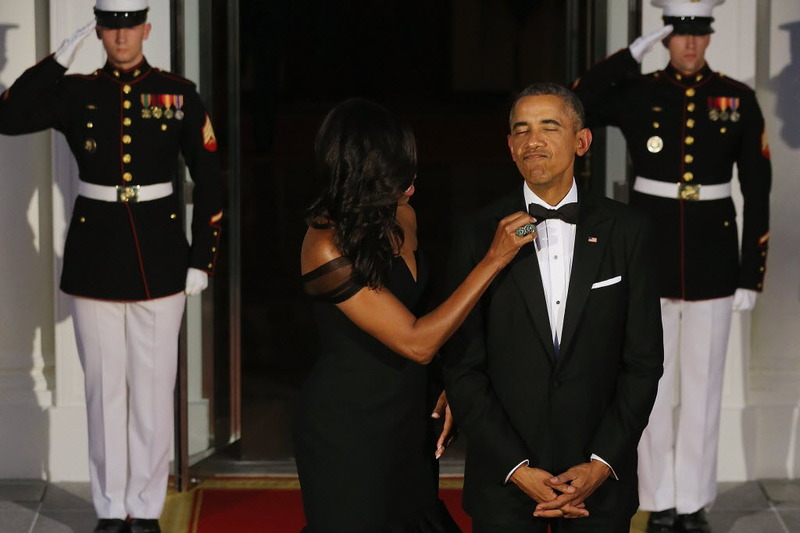 Not bad Mr. & Mrs O.. Not bad at all. 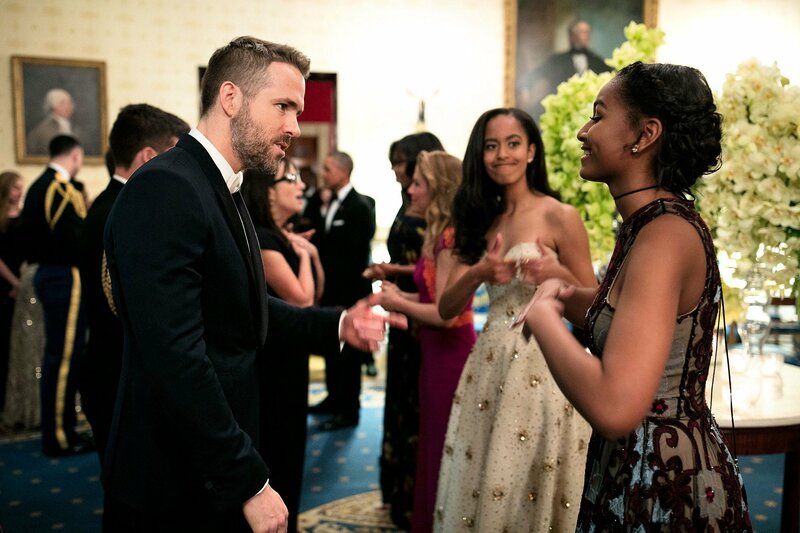 Malia, who is Michelle Obama’s TWIN got to sit next to Grey’s Anatomy Star Sandra Oh, and Sasha totally fan-girled Canadian hottie Ryan Reynolds while her sister cheered on from the sidelines. Man! Doesn’t this side by side make you feel hella old!